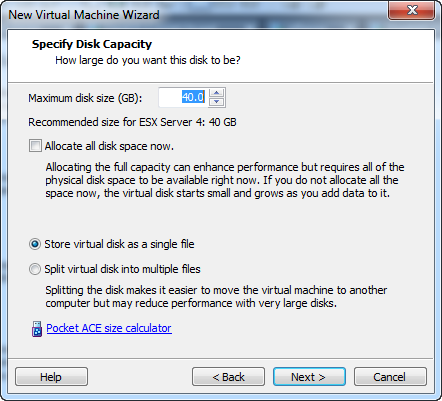 Budget Laboratory: Part 3 – VMWare ESXi 4.1 on VMWare Workstation 7 – Fix The Exchange! 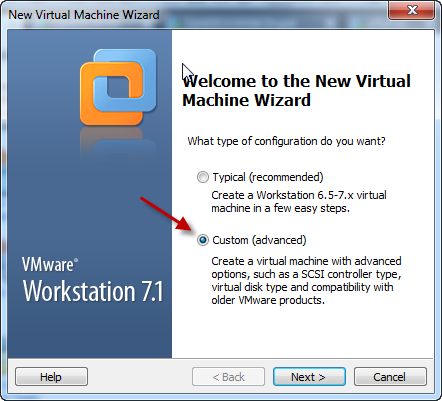 For this installment of my “Budget Laboratory” series, I’ll show you how to install VMWare ESXi 4.1 on VMWare Workstation 7. 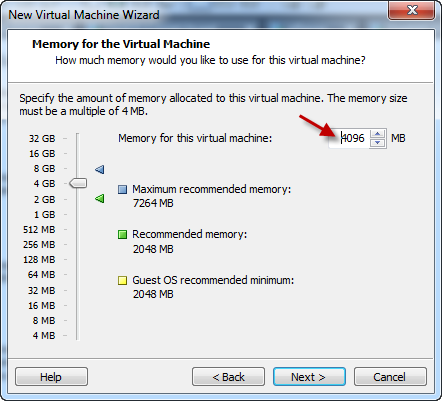 Yes, we’ll be running Virtual Machines (VMs) inside of a VM! Why would anyone want to do such a thing? To learn ESXi and vSphere of course! If you don’t have spare hardware for a dedicated ESXi lab environment, running it inside of Workstation 7 is a great alternative. You could also run it inside of VMWare Player if you feel so inclined. However, as with the first 2 articles in this series, I’ll be using Workstation 7. 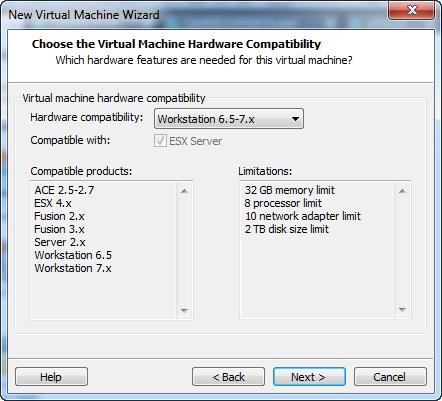 ESXi and Player are both completely free, Workstation has a 30 day free trial available. While there are other options when it comes to virtualization, VMWare has dominated the market for quite some time. When you say “Virtualization”, VMWare is what most people think of first. It is a great product to start with if you’re just getting into virtualization. I recommend a quad core CPU and at least 8GB of RAM for this, however you may be able to get away with less. A computer running a 64-bit Operating System. 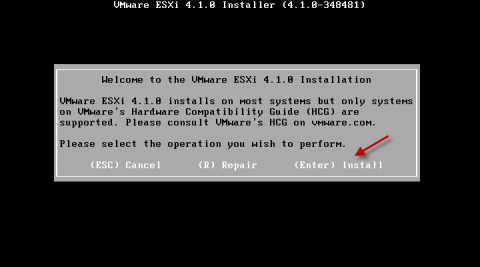 Why ESXi 4.1? Well 5.0 is still pretty new, so you’ll find 4.1 still being used in a lot of places. VMWare made some changes to the licensing with 5.0 that really restrict the free version. I feel that 4.1 is a better option when running the free version right now. That being said, I will probably do another version of this article for 5.0 later on. 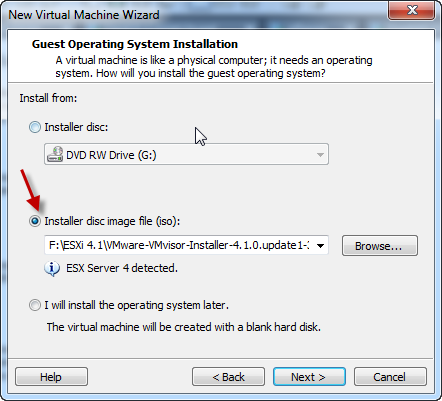 Select “Installer disc image file (iso):” and browse to the location of your VMWare ESXi 4.1 .iso file. 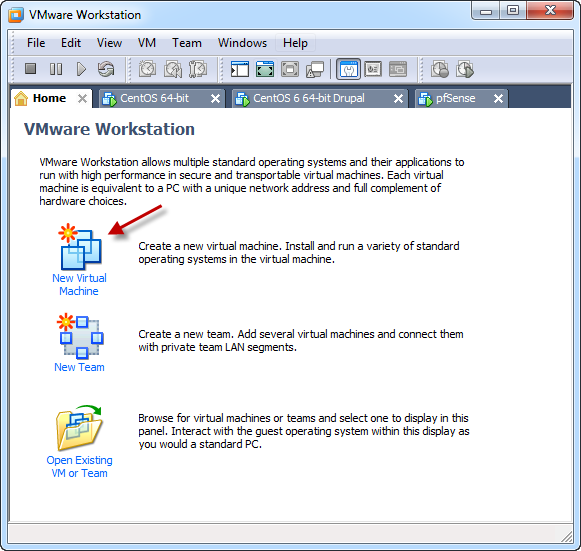 You’ll notice that VMWare Workstation automatically detects that we’re going to install “ESX Server 4”. You can change the name and location here, I just left the defaults, click “Next”. 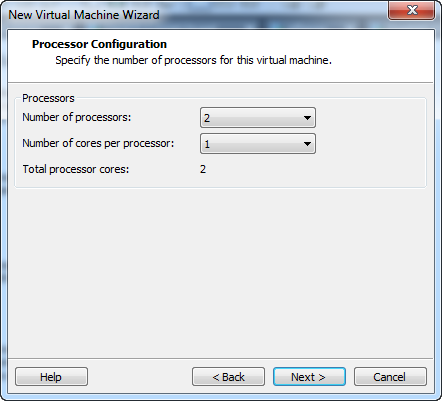 Here you can change the number of processors and cores, I left mine as the default, click “Next”. Next we tell it how much memory to use. I set mine to half of my physical RAM, which just happens to be twice the recommended minimum. This can always be changed later if needed. Click “Next”. 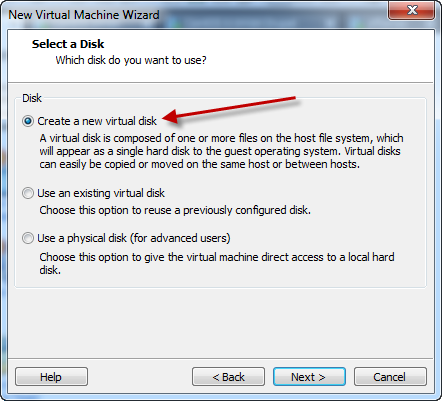 Accept the defaults of 40GB and “Store virtual disk as a single file” and click “Next”. I missed a screen shot for the “Specify Disk File” screen, you can just accept the default on this screen and click “Next”. 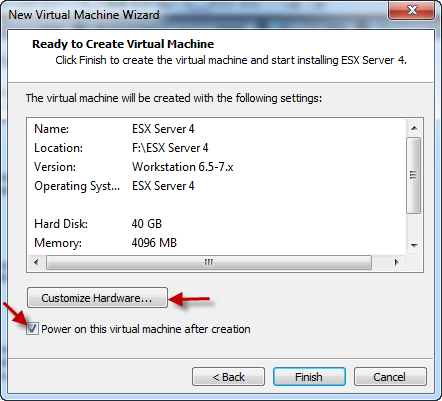 Here we’ll check the box for “Power on this virtual machine after creation” and then click the “Customize Hardware…” button. 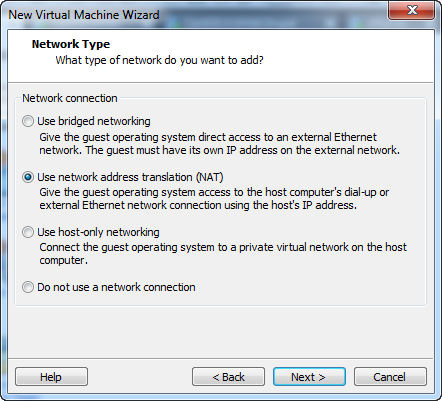 If you followed Part 1 of this series, you’ll need to select “Network Adapter” then “Custom: Specific virtual network”, and choose the VMNet that is bridged with your LAN NIC. For me it is VMNet3. Otherwise you can just choose “Bridged: Connected directrly to the physical network”. 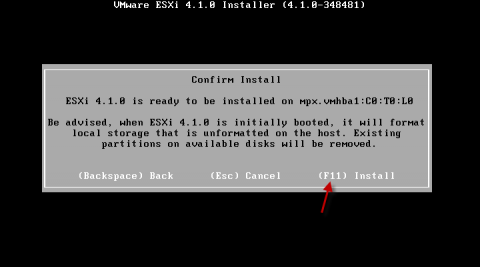 Click “OK” to exit the Hardware configuration, then click “Finish”, your ESXi VM should now boot. Hit “Enter” to start the install. 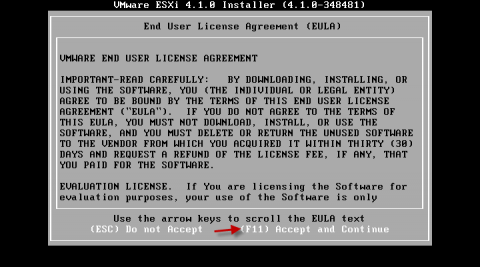 Hit “F11” to accept the EULA. Hit “F11” to confirm the install. The installation is complete, hit “Enter” to reboot. 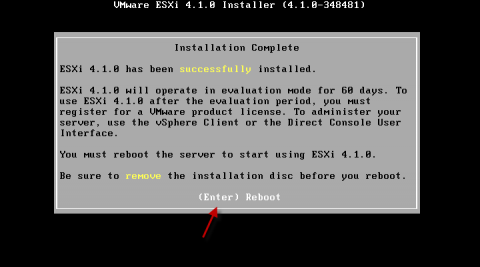 You should see a screen similar to this when ESXi boots, hit “F2”. There is no password, just hit “Enter” twice to login. You didn’t think we were going to leave a blank password did you? Hit “Enter” to change the password. Set and confirm a password, then hit “Enter”. Now we need to set a static IP. Hit the down arrow until you have “Configure Management Network” selected, then hit “Enter”. Select “Set a static IP address and network configuration” using the space bar, then assign a static IP in a private address range that is accessible to your host O/S. Next we’ll change the hostname. Select “DNS Configuration” then hit “Enter”. Set your hostname to whatever you want it to be. 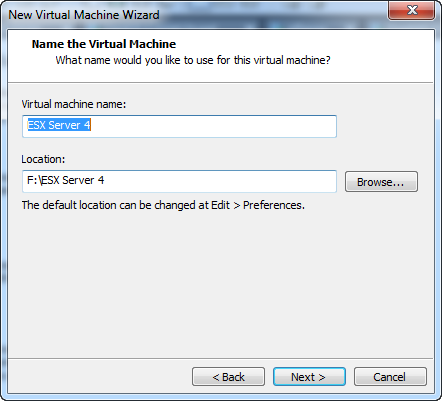 As you can see, I changed mine to esxi.fixtheexchange.com. Then hit “Enter”. Hit “Y” to confirm the changes. 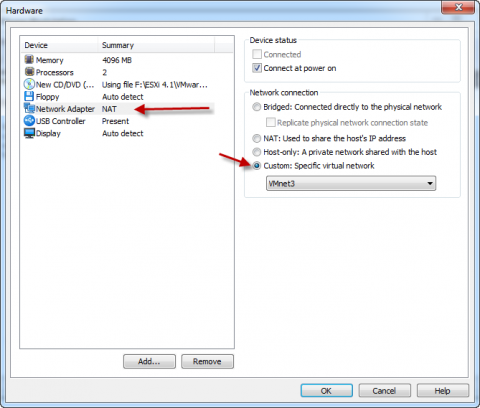 Step 4: Verify connectivity and download vSphere Client. 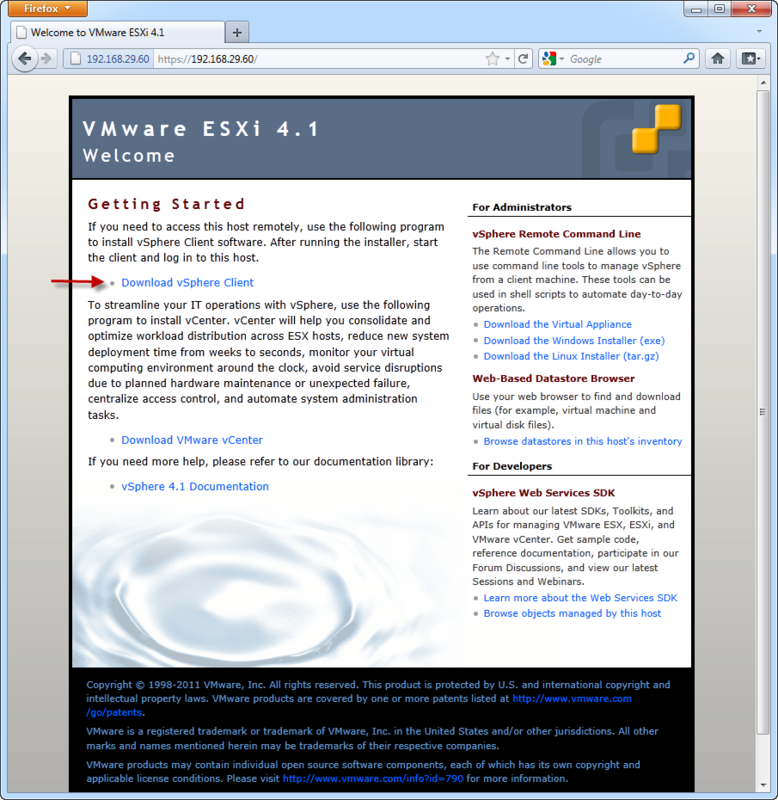 Click the “Download vSphere Client” link to download and install the vSphere Client. 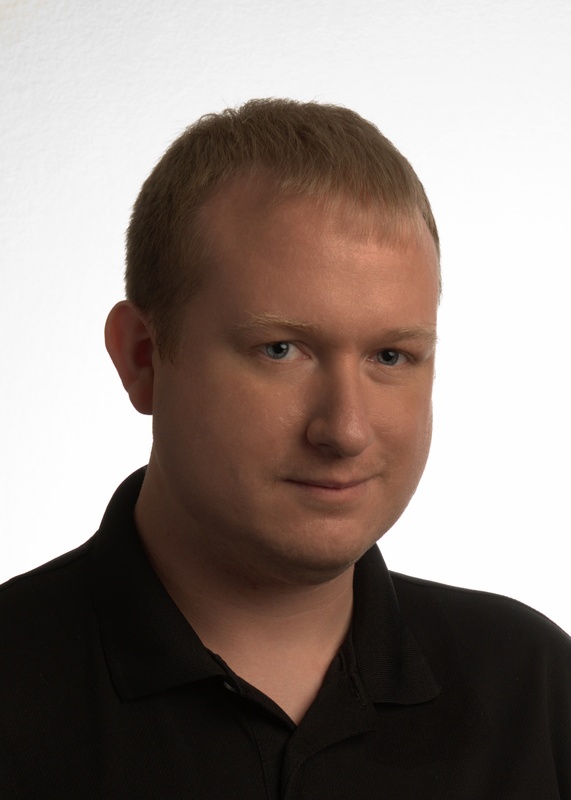 ESXi is now ready for use! 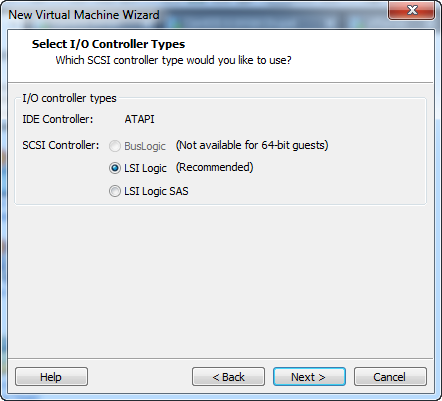 In Part 4 of the “Budget Laboratory” series, I’ll show you how to use the vSphere client to connect ESXi to the Virtual SAN we created in Part 2 of the series.